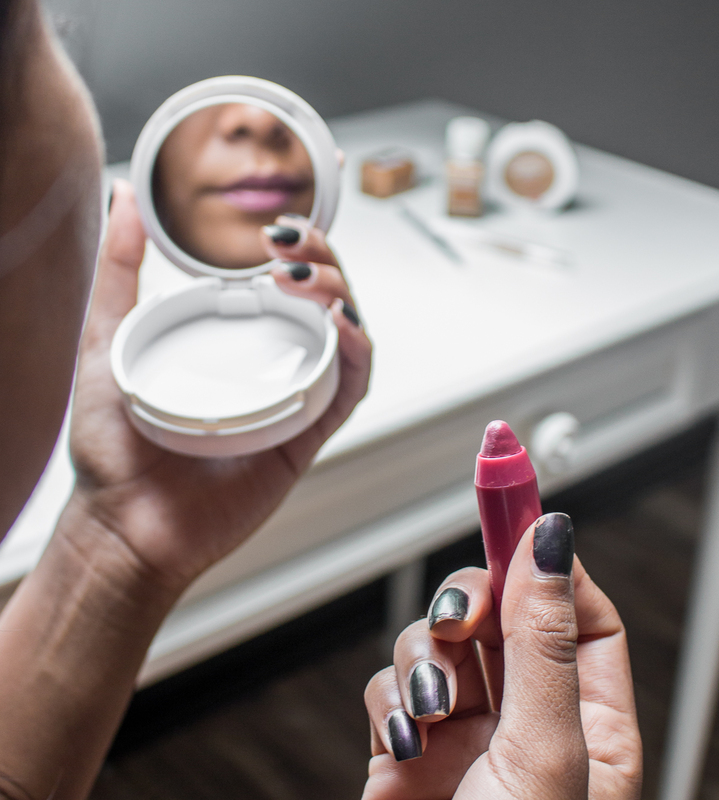 We all know that fall calls for a quick wardrobe makeover but most of us forget that with the change of weather our skin has different needs, and it's time to change our skin care & makeup products too! During this season my skin tends to break out. That is why I like to use products that help me to keep my skin clear. 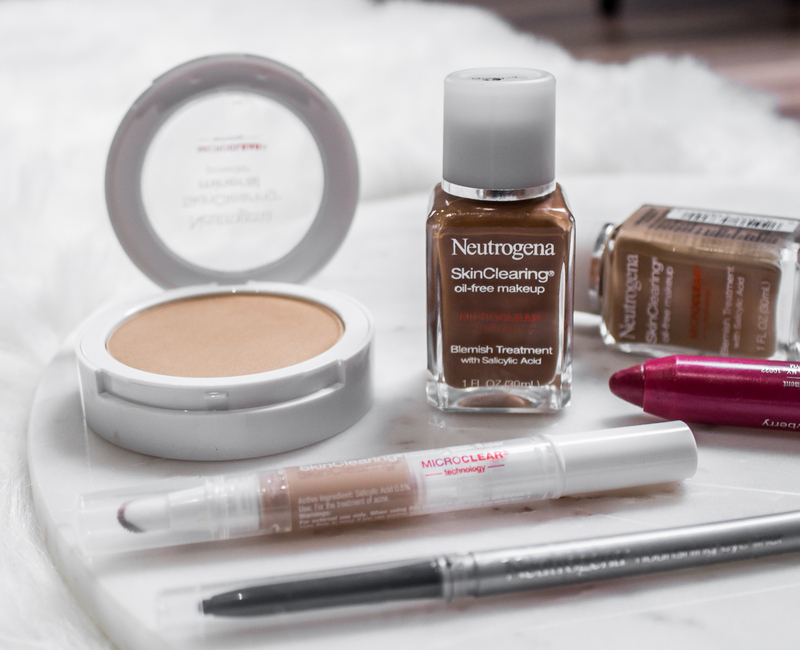 I recently discovered that Neutrogena® has a SkinClearing® makeup line especifically designed to cover up blemishes and prevent acne. Of course that is all I've been using lately and today I'm going to show you my fall makeup routine. 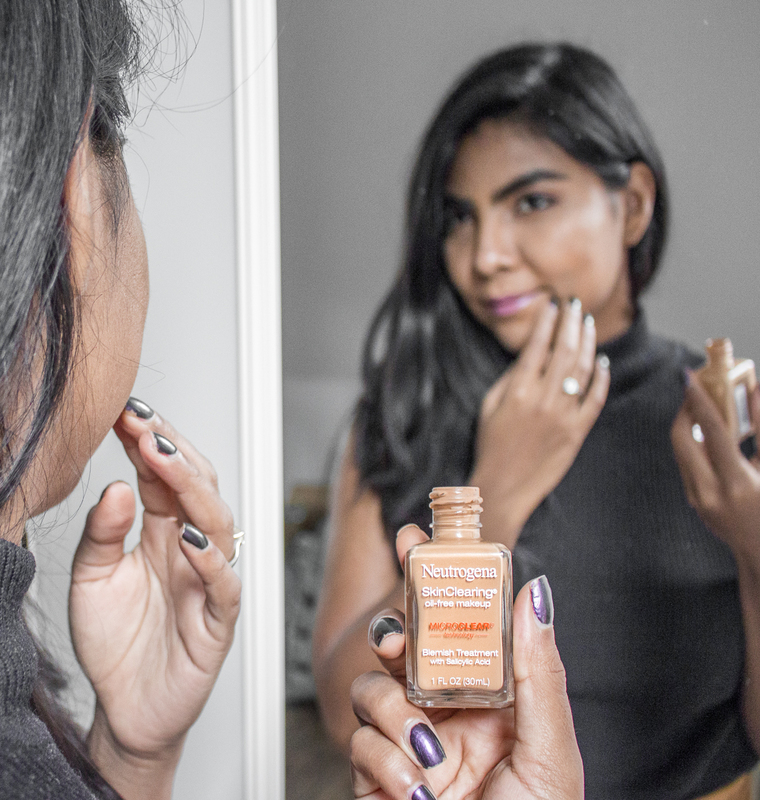 First I like to apply Neutrogena® SkinClearing® Blemish Concealer on all the areas where I have blemishes. This product covers up blemishes but it also helps them clear up because its formula contains salicylic acid an active that quickly eliminate and prevent pimples. 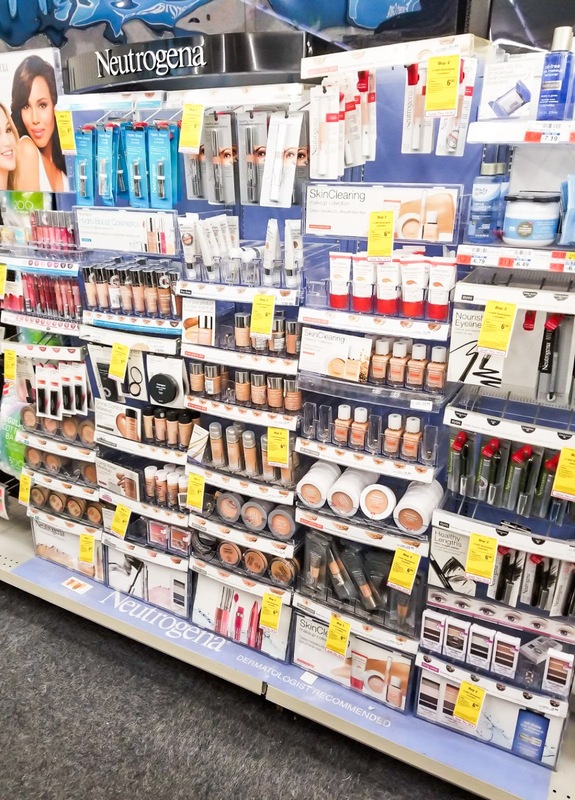 Who doesn't love a double-duty product?! Unlike other concealers this one is non comedogenic, so It won't clog your pores. Next I apply my Neutrogena® SkinClearing® Liquid Makeup . This is a lightweight foundation was formulated for acne-prone skin, it not only treats blemishes, but also helps prevent emerging acne breakouts. I like to apply it with my fingers first and then I apply a second coat with a kabuki brush to get more coverage. 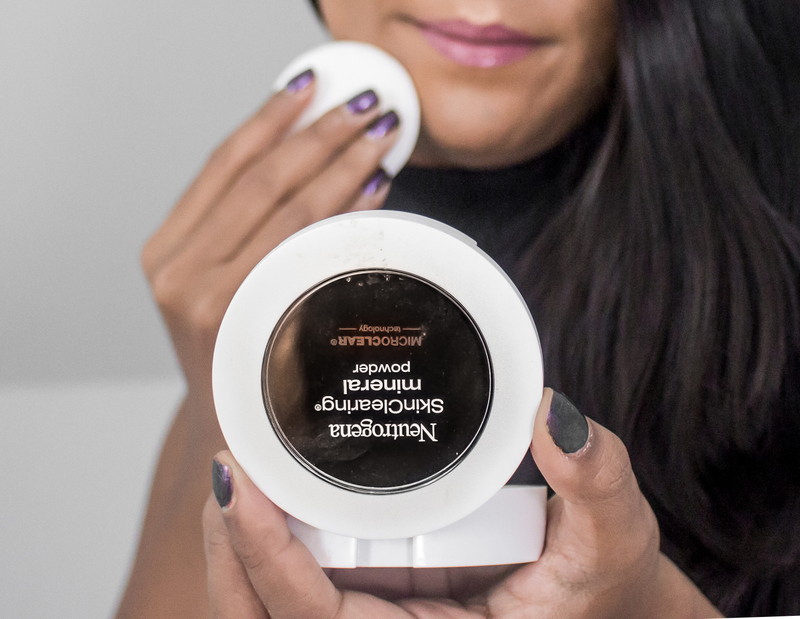 To set the makeup in place I use the Neutrogena® SkinClearing® Mineral Powder. This compact contains oil-absorbing powders that help my skin stay shine-free. It's super easy to use this while on the go because the package holds an applicator and it has a mirror! I usually carry this on my purse to touch up my makeup during the day. 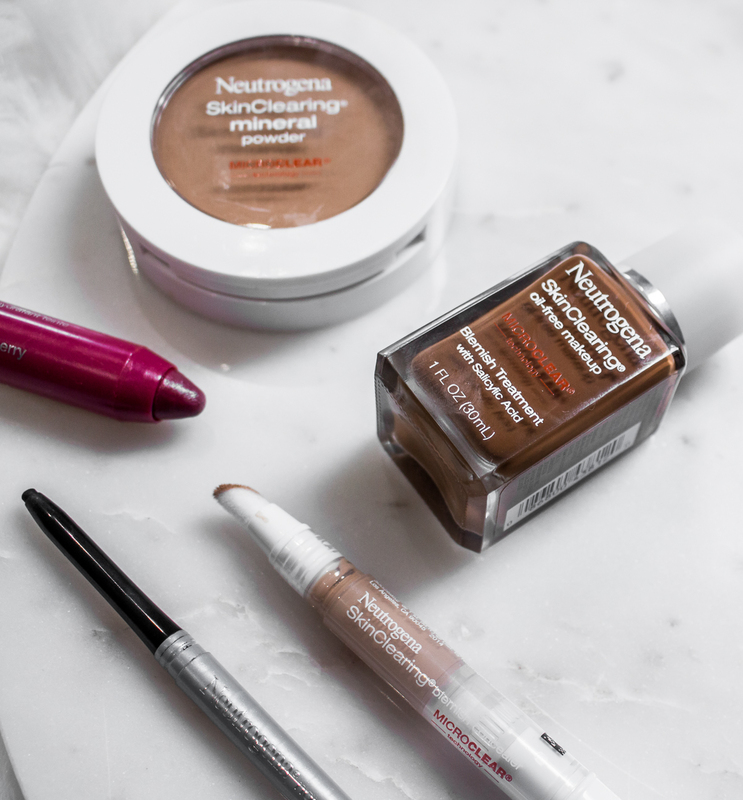 To make my eyes look more open I apply a very thin line of Neutrogena® Nourishing Eyeliner on the lower and upper lash line. Sometimes I like to blend out the eyeliner for a smokey look. This is the creamiest eyeliner I've ever used and I also love that the color is buildable. If I'm in a rush I also use it to slightly fill in my eyebrows. 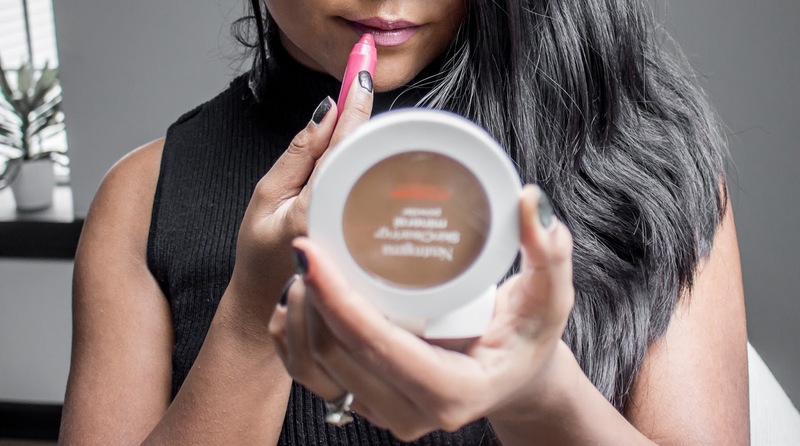 I'm loving the Neutrogena MoistureSmooth Color Sticks to add some color on my lips. These lippies are balm-like and super moisturizing. I love a dark berry shades for fall, so for this look I used Wine Berry. 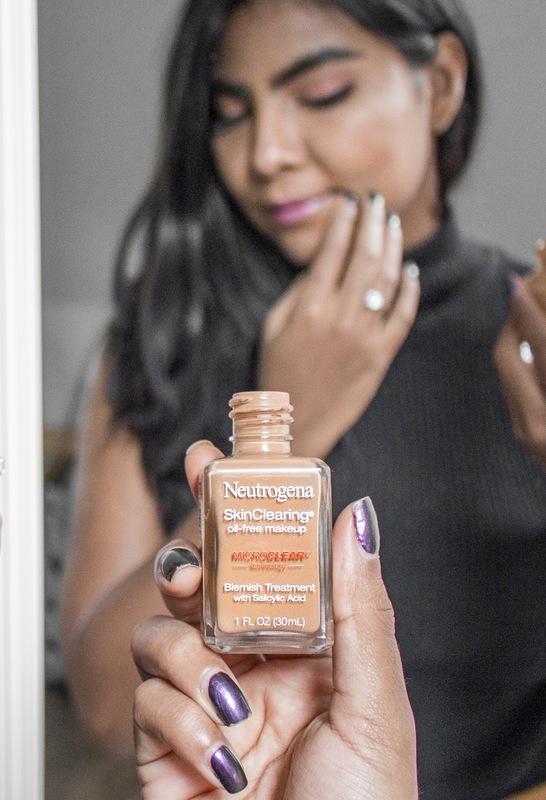 Do you use Neutrogena? What are you favorite products?